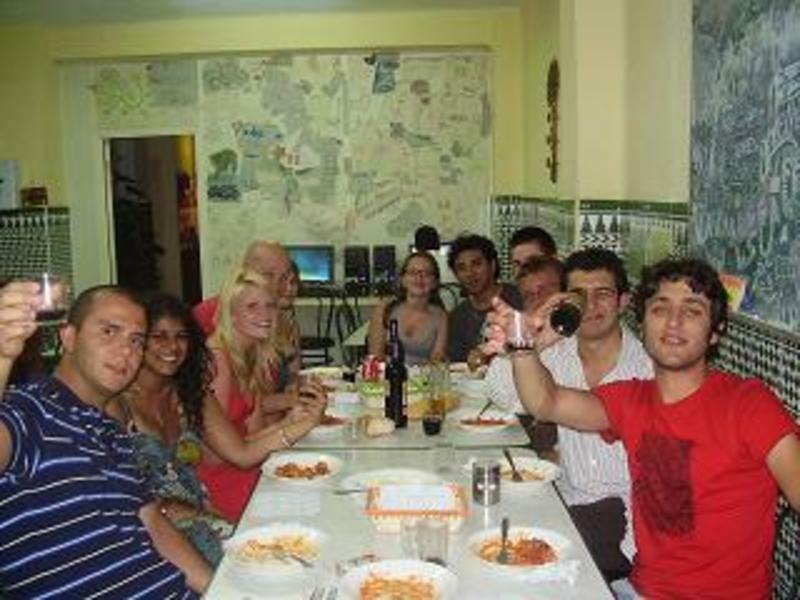 This vibrant well equipped, spacious hostel is conveniently located, only 5 minutes from the beach and 15 to the main bus and train station if walking. A bus to the airport stops at the end of the street and it's only a 10-minute bus ride to the historic Old Town. If you arrived by bus or train take the city bus N1 or 3 from Heroes de Sostoa Avenue bus stop towards Avenue de la Paloma (ask the bus driver). Get off at Heroe de Sostoa - Bda Giron bus stop. You're closer. 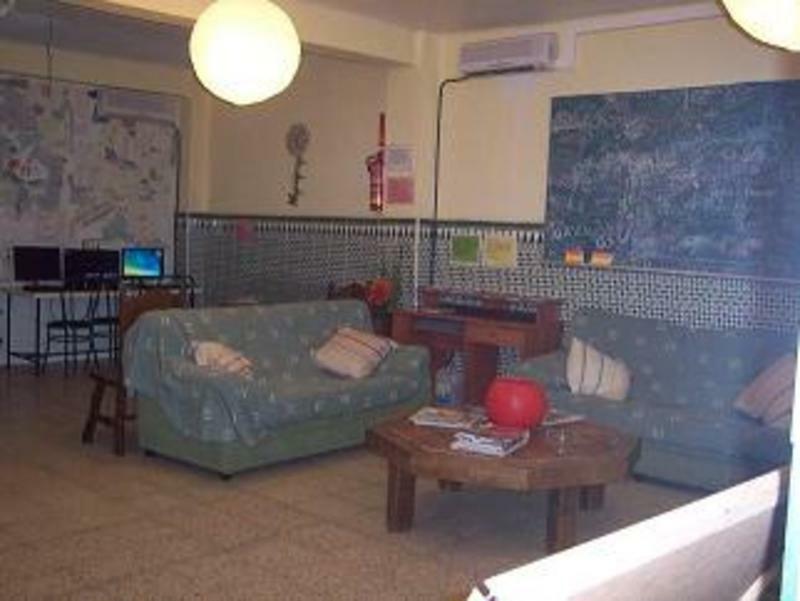 Walk another 30 meters and turn right at the first corner ( you can see a minimarket) - you are on Jeronimo Bobadilla street and the hostel will be on your right hand side of the street N.4. From the bus station walk through the train station - the hostel is only about 15 minutes away. The RENFE train station will be on your right hand side. Stay on Heroes de Sostoa street and follow the road straight ahead all the way to CEPSA gas station which will be on your left. Jeronimo Bobadilla street starts right across the road in the opposite direction from the gas station. If you want to come by bus you must take the bus A and get off in La Paloma Aveneu Bda Giron. Watching to the avenue you must walk to the left and cross the street , you will see a shop called Euro Cien. You must cross La Paloma Avenue till you see a supermarket called: Supercor go ahead and you arrive to the Heroes de Sostoa Avenue, continue straight on and turn left in the next corner this is Jeronimo Bobadilla Street, we are in the number 4. 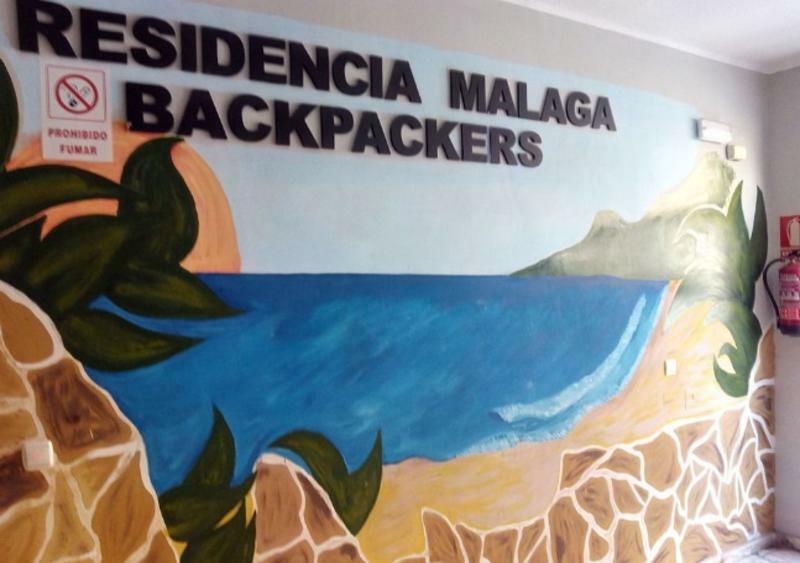 The notice on the door says: RESIDENCIA MALAGA BACKPACKERS. If you want to take a taxi the cost is about 20 and you have to tell the taxi driver the name of the street is Jeronimo Bobadilla N4, in front of the Cepsa De Paso Gas Station (Alaska) and its location is between Heroe de Sostoa and Av. de la Paloma. 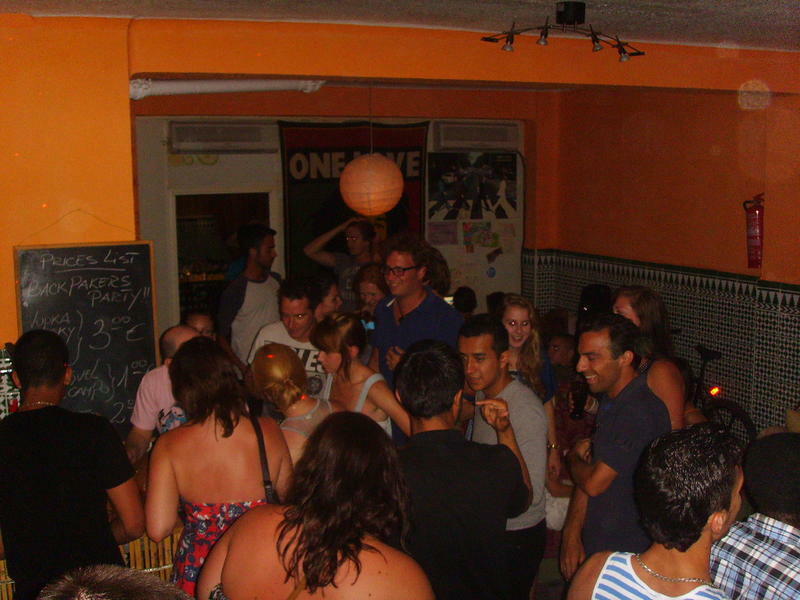 The notice on the door says: RESIDENCIA MALAGA BACKPACKERS. Take the Exit Malaga Centro Puerto (center port). Turn right in the first avenue, Juan XXIII. Go straight along the avenue 1300 mts. Cross the bridge and turn right, go straight 200 mts and turn left. This street is Jeronimo Bobadilla. Go straight 80 mts and the black door is the hostel's. You can park in the street, it is free to do it. Take the Exit 238-A Center. Turn right in the first avenue, Juan XXIII. Go straight along the avenue 1300 mts. Cross the bridge and turn right, go straight 200 mts and turn left. This street is Jeronimo Bobadilla. 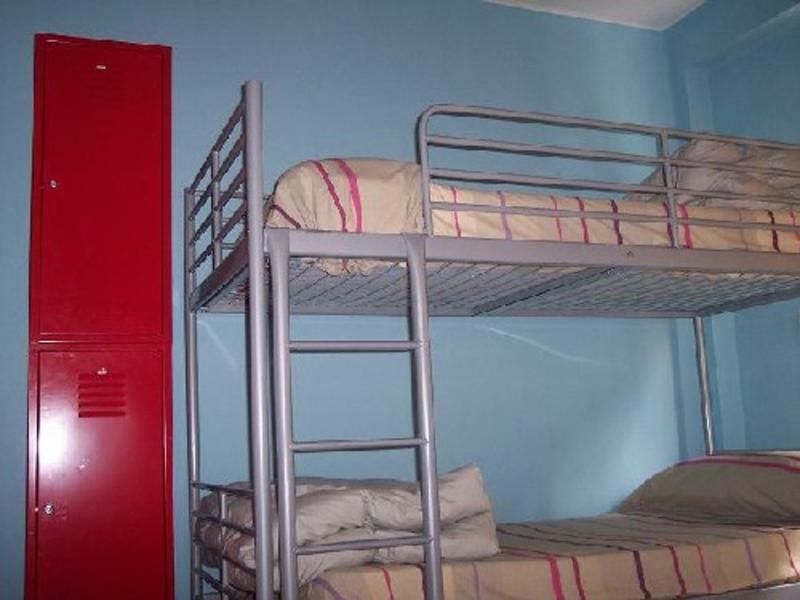 Go straight 80 mts and the black door is the hostel's. You can park in the street, it is free to do it. IMPORTANT NOTE: print the map where we indicate bus stops and residence locations, thus, you can find us easier..
Near Heroe de Sostoa Aveneu and La Paloma Aveneu intersection. In front of Alaska Gas Station (CEPSA GAS STATION). We not accept children. -Breakfast is NOT included Cancellations are only accepted by e-mail at least 48 hours in advance of your check in time, because you must put a correct time of your check in. There are no exceptions. Late cancellations are automatically charged for the first night. *** the cancellations in 'Semana Santa' and 'Feria' are only accepted by email least 72 hours in advance of your check in time, because you must put a correct time of your check in. There are no exceptions. Late cancellations are automatically charged for the all nights.